IT service management is an essential part of your company. That's why A&B Business Solutions provides the best managed IT services Sioux Falls has to offer. It can be expensive to hire a technician to manage and repair your IT environment. And time is money when it comes to hiring the perfect person. With A&B Business Solutions, you get the assistance of IT service management professionals for an easy to budget, small, fixed monthly fee. At A&B Business Solutions, our IT management services keep watch over your IT systems 24/7 to make sure everything is secure and under control. The moment we discover an issue, we act and secure it. Our proactive approach to IT management and maintenance keeps small problems from becoming major and expensive disasters. We also provide different IT management services to meet your business' individual needs. Whether you only need coverage for one year or you're interested in something more long-term, we have the managed IT solutions for you. 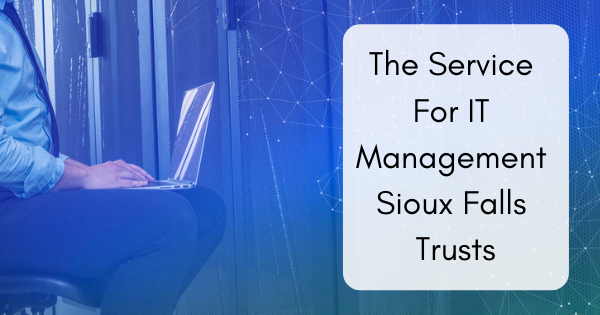 We provide Sioux Falls businesses with three different IT services including server care elite coverage, total desktop care with on-site IT services, and total desktop care without on-site IT services. Under our total desktop care, you can expect policy management, antivirus management, preventative maintenance and performance reports, and much more. You can also choose whether to have on-site IT services at your business. If you choose not to use on-site IT services, you can still expect the full A&B Business Solutions customer service experience. We provide total desktop care Monday through Friday from 8AM to 6PM, after hours 5PM to 9AM, with 24/7 coverage.